America is in real trouble. Just not for the reasons you think. 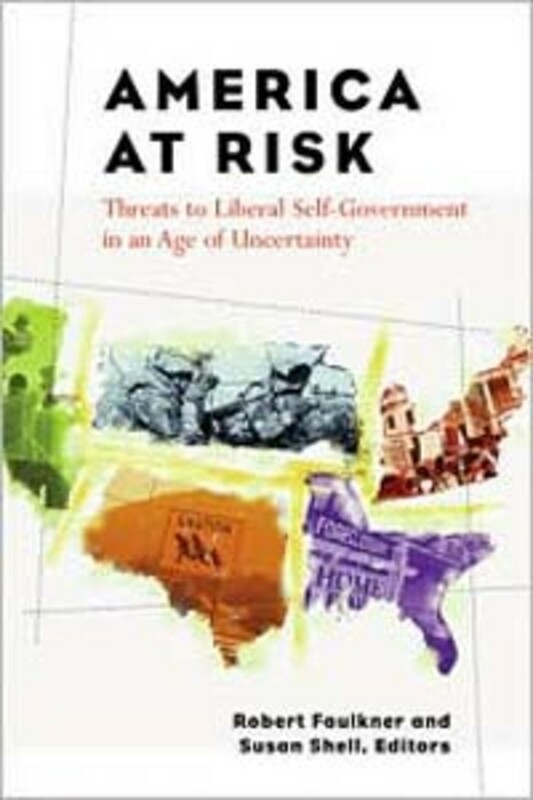 Two Boston College political science professors, Robert Faulkner and America at Risk: Threats to Liberal Self-Government in an Age of Uncertainty, is an incongruent collection of critiques — from the highly theoretical to the deeply pragmatic — of America, its government and its people. It reads like a wonky, depressing version of an Economist briefing package, full of shrewd insights that cohere only in aggregate, after the fact. • America and its leaders live in a world removed from reality. As British-born Harvard professor Niall Fergusonargues, America is an empire in denial. Despite numerous similarities to imperial Rome and 19th-century Britain, America sees itself as an exceptional, benevolent world power. Yet George W. Bush represents only the latest in a succession of presidents naively pursuing the ends of democracy through the means of military action. Instead of bringing freedom and self-determination to conquered people, Ferguson asserts, the American approach to nation building is just state replication, with the goal of creating a new country in our own corporate-dominated, free-market image. • Policymakers&apos; views are often divorced from the experiences of average Americans. Boston College&apos;s Kay Lehman Schlozman and Northwestern&apos;s Traci Burch examine one reason why: Wealthier, better-educated, higher-class citizens enjoy greater access to power and exhibit greater civic and political participation than others. The effects are visible across a range of political debates, especially on immigration, where Peter Skerry, another Boston College professor, documents a huge opinion gap between elites and Main Street America. Business-oriented Republican free-traders and diversity-championing Democrats tend to view the immigration situation similarly: It&apos;s inevitable, and it&apos;s a good thing economically, so let&apos;s open the borders. Yet low-income Americans, conservatives and liberals alike, often see immigrants as more than just laborers and domestic servants — they&apos;re competitors for jobs who feed off the welfare state. Both sides spend too much time talking about illegal immigrants, who account for just a miniscule part of the problem. • American leaders with too much faith in their supporters (and themselves) present a broad danger, according to Alan Wolfe, who directs Boston College&apos;s Boisi Center for Religion and American Public Life. The recent Bush presidency is merely an extreme example of populism run amok. Bush formed a direct relationship with the people — well, 50-something percent of the people — sidestepping the policy process, bureaucracy and other checks and balances meant to prevent the tyranny of the majority. Like overreaching Great Society Democrats, Wolfe argues, the recent Republican regime lacked all sense of irony, viewing the world through myopic, deadly serious blinders. Both major parties are retreating to opposite political poles, splitting the debate on any number of issues into pairs of staunchly partisan platforms. • An essay by Shell examines divisions over the ideals of marriage and family structure. 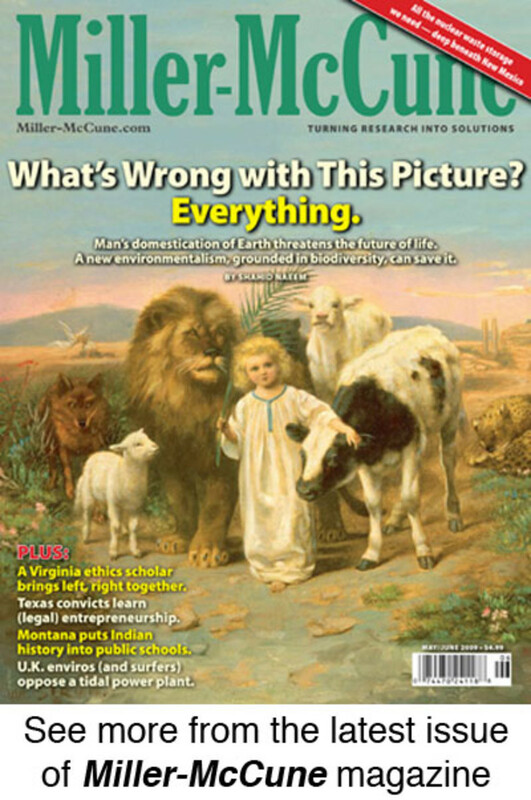 American parents face an almost binary choice between the biblical, male-dominated family and the selfish, me-focused, double-income-no-kids existence of liberal elites, with no compelling model in between. Tracing the ideas of Rousseau, Locke and others who inspired the country&apos;s founders, she shows Americans have abandoned the family as an engine of civic education and responsibility. It&apos;s one of the book&apos;s few theory-heavy contributions that succeed. In the book&apos;s final essay, a pessimistic, erudite sort of rant by political science elder statesman Hugh Heclo, now at George Mason University, many of the disparate theses crystallize. The political system, Heclo believes, is completely broken. The professionalization of politics and the 24-hour news cycle have swallowed up any pretense of rational debate or nuance. Interest groups have hijacked lawmaking and regulation. And we&apos;re all too cynical to care. Heclo&apos;s is one of many quasi-anachronistic essays in America at Risk, most of which seems to have been written before the rise of Barack Obama and the fall of the economy. A cogent analysis of the dangers of a minuscule personal savings rate by University of Virginia business school professor Peter Rodriguez, for example, seems both prescient and irrelevant now that the personal savings rate has reached a 14-year high amid a grave financial downturn. It&apos;s hard to reconcile Heclo&apos;s downbeat take with the hopeful, idealistic throngs of screaming Obama supporters at campaign rallies throughout 2008. Yet President Obama&apos;s financial team is chock full of people with deep connections to the very banks that destroyed our economy, and he&apos;s equivocated on issues ranging from earmarks to the selection of a Federal Drug Administration chairman. The administration even watered down its stimulus package with tax cuts — not because the Obamans believed it was right for the economy, but to placate Republicans stuck on a constituent-pleasing mantra. Heclo believes we have promising answers to many policy problems, but systemic issues prevent us from moving forward. A crisis, Heclo writes, might provide an opportunity for a solution. Fortunately, perhaps, just such a catastrophe has arrived.